Here in Ireland the saying goes that you can experience all 4 seasons in one day plus rain. So knowing what to pack for Ireland is a bit of a challenge. Personally, I like to travel light so I don’t take more than a carry-on piece of luggage, but I make sure that the luggage fits European airline standards. Please don’t forget that Ireland is two separate countries. In the North they are governed by the UK and use sterling and here in the South they use Euros and have their own government. Please don’t confuse the two, you won’t have any issues crossing the “border” since currently it doesn’t exist, but Teresa May might have other plans for that after Brexit. 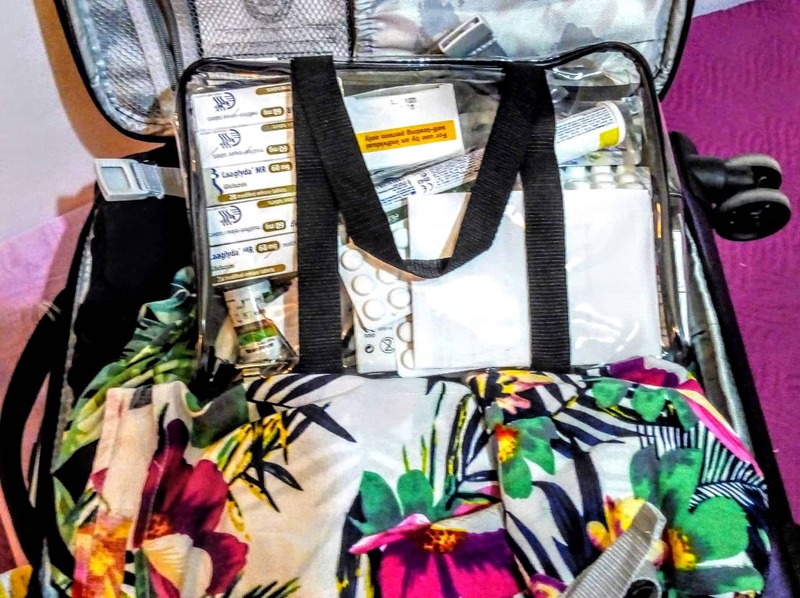 Seriously my own packing these days is taking a huge hit – I mean really how do you pack all the old lady medications and still work a carry-on? 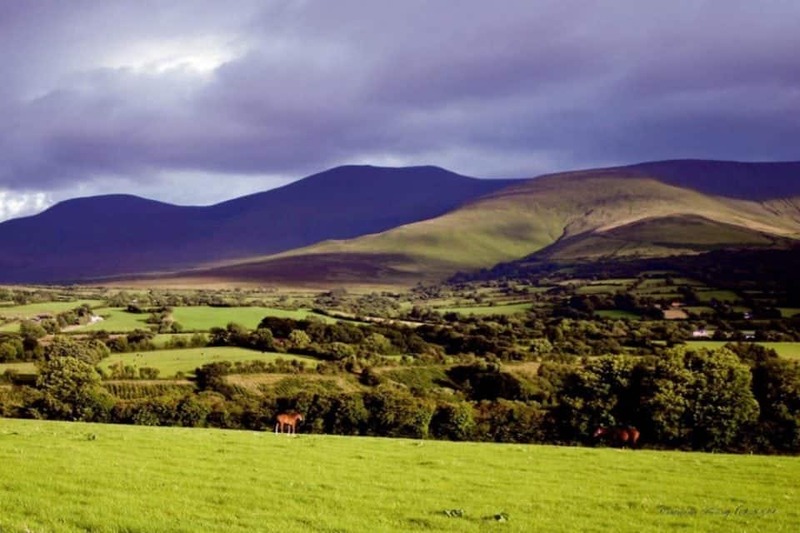 To really see Ireland you need to rent a car, here is all you need to know about that. Now I’m not going to tell you what to pack for daily wear as we all have our fashion addictions. What I will say is layers, and more layers. One minute you can be driving through a patch of glorious Irish sunshine and the next minute you are out on the Cliffs of Moher being buffeted by the crazy winds. What I will say is don’t pack your bling or fancy clothes, while the Irish do dress up they are not fussed on whether or not you wear sequins to dinner. I would say a good pair of jeans that you can wear most of the time, maybe a pair of nice trousers to dress up in the evening and a comfortable pair of cords will do you for at least 2 weeks. The rest as I say is layers, tank tops, t-shirts, maybe a nice top for dressing up for dinner. Pack your bags and then remove a third of it because you won’t wear it. Don’t forget nobody is going to remember what you wore and pretty much the same people won’t see you twice so who cares. Pack light and have more fun. Be prepared, anything and everything will be thrown at you in Ireland. Rain, fog, winds, sunshine, heat waves, freezing weather, rarely a little snow, more rain and lots of Irish mist. 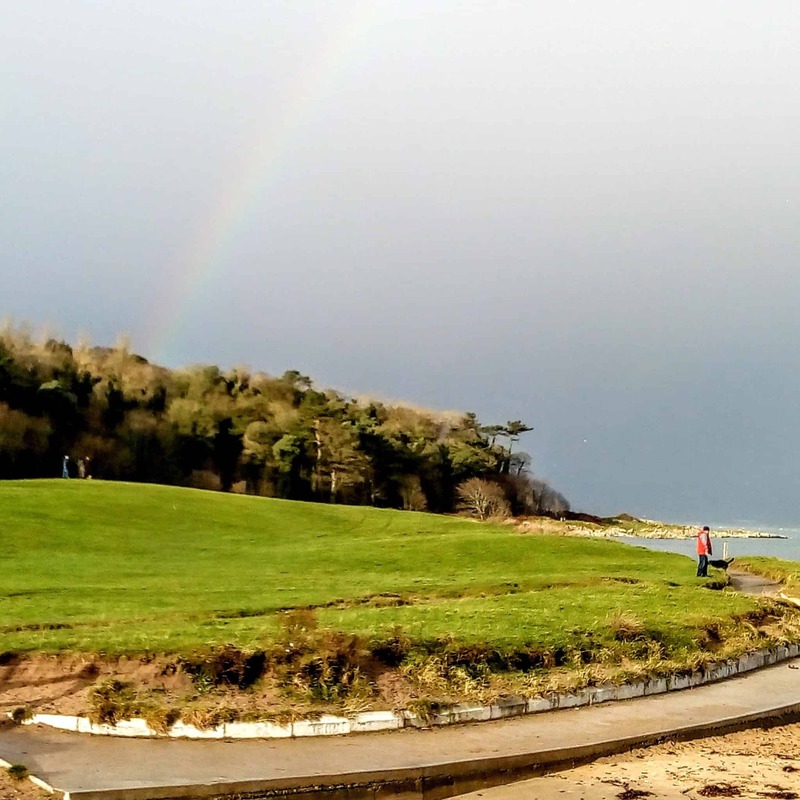 February, March and April brings spring weather to Ireland, temperatures will average 45°F and 55°F (7°C to 13°C). It is cooler than a N. American spring but way warmer than a Canadian one. You will see the flowers starting to come out bluebells and daffodils reign supreme at this time of year. Expect lots of Irish mist and rain and make sure you pack quick drying layers and a coat that is waterproof. A coat that pulls double duty with an inner thermal layer is a grand idea. 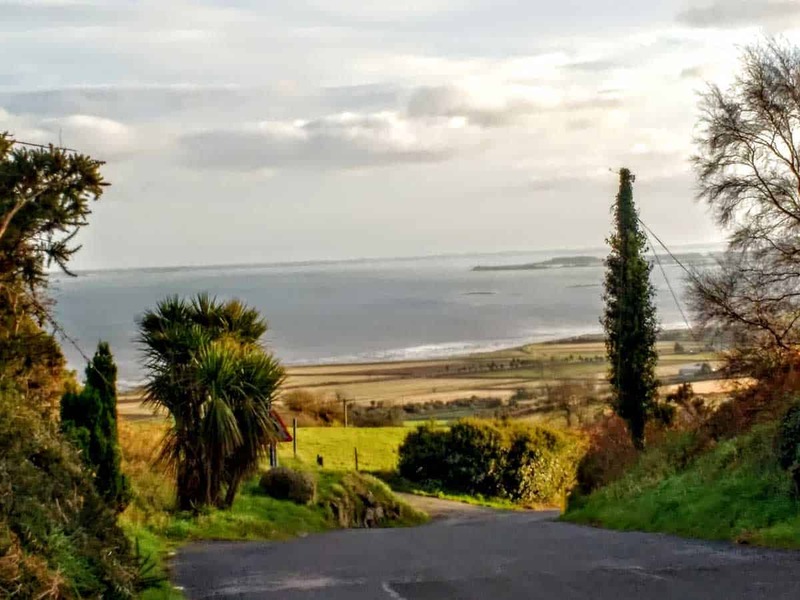 May, June, and July is the official summer months of Ireland Temperatures average between 60°F and 70°F (15°C to 21°C). The flowers are all coming up the green is turning greener a beautiful time. Ireland has been known to have some heat waves in the the past few years so you may find yourself wearing shorts and a t-shirt. However, the weather will change as soon as you put the shorts on guaranteed. August, September, and October temperatures will average between 55°F and 65°F (13°C to 18°C). Similar to fall in the US and Canada although it may be a little cooler. 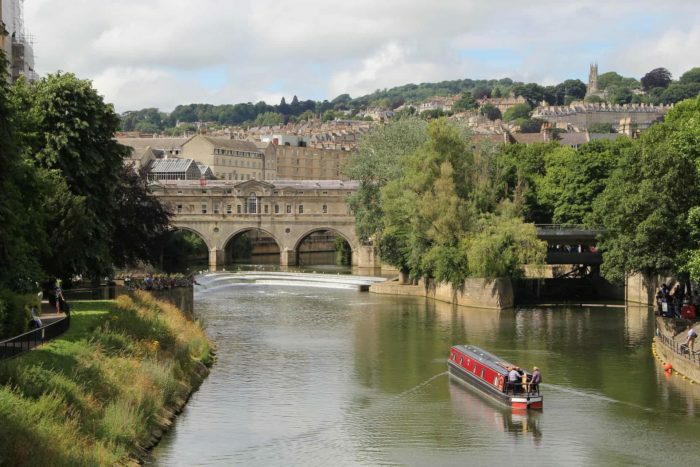 It has been known to have great sunny days and you may be surprised at just how beautiful the country is when it’s changing colours. November, December, January temperatures will average around 45°F (7°C), depending on where you are in the country, like in the mountains of cliffs the winds can be bitingly cold. It never really freezes, not like in Canada or the US, but you will hear lots of complaints from the Irish about how cold it is. Considering that Canadians are known for getting their shorts out when it’s around 10 degrees you may be a little surprised about the complaints, we are. However if you are from Florida it will be damned cold. If you do find yourself in Ireland in the colder weather and you’ve come unprepared just pop into a Penny’s store you can find super cheap hats, gloves, scarves and decent sweaters at great prices and what the hell donate them to the charity shops before you leave so you don’t have to pack them in your carry on. Packing for Ireland starts with the luggage you choose, not only that but the luggage needs to be able to work on all airlines as carry=on. Here in Ireland most people will travel via the cheapest airlines. It’s cheaper to fly to other areas of Europe than it is to drive or take the train. 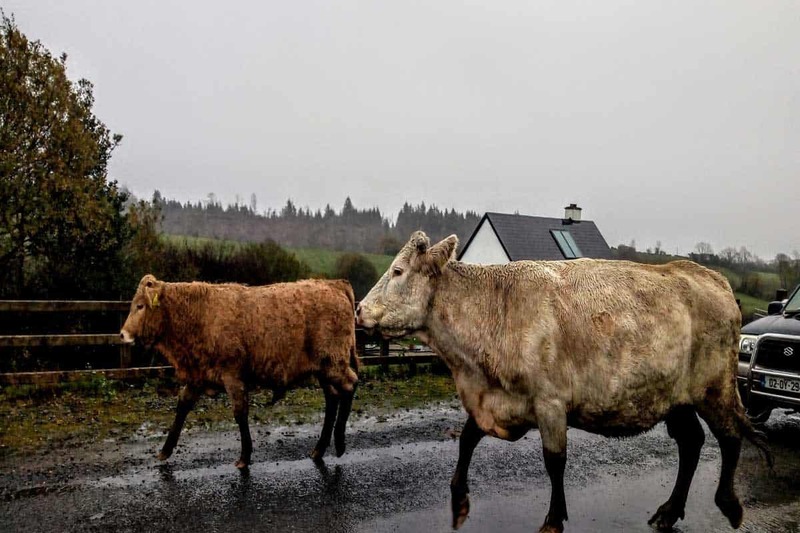 Since public transportation in Ireland is great in the cities but abysmal in rural areas, you also don’t want to be dragging massive suitcases around with you. Size also matters when attempting to crush giant suitcases into the tiny little car trunks that you get when you rent a vehicle here. So, personal experience tells me that I need a carryon bag with those twisty wheels that go in all directions and has both carrying handles and a pull out drag bar thingy. I want sturdy fabric, preferably in a day glow colour so I can see the damn thing if I do have to check it. I also want soft sides that give a little – just in case. My recommended one? 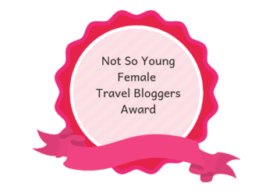 Well I pick the azure blue TravelproTravelpro Maxlite 5 19″ Expandable International Carry-On Spinner. I know it’s a mouthful but a great case. Now this one may seem a little odd but I see a lot of N. Americans complaining on the Irish forums that most hotels and B&B’s don’t have washcloths. Well that’s true I mean after all who wants to use a used washcloth. Take your own these are great quick drying washcloths that are reusable and environmentally friendly. Now if you are really concerned about the whole liquid issue why not take solid shampoo bars and body wash bars. These products are paraben and SLS free, TSA approved (so to speak) perfume free and chemical free. That makes them very environmentally friendly and they are so easy to use. Next for me are the all-important shoes. I want shoes that are well made comfortable and above all will last for a while and can be used for a lot of walking. I am so tired of bloody ugly shoes though, I know I have really bad feet but please those damned orthotic nastys just won’t cut it. Several years ago, I watched Oprah do one of her favourite things and she had a shoe on there called Fitflop. I couldn’t believe 200 bucks for a flip flop – are you mad. So anyway years later, I have now been diagnosed with Rheumatoid Arthritis, nerve damage, plantar fascitis and metatarsalgia. Meaning basically if I take my shoes off it feel like I’m walking on gravel barefoot. So I searched high and low for shoes that worked for me and low and behold, I was in a shop one day, saw Fitflops, and walked right past them. After trying on virtually every “good” shoe in the shop I thought well might as well give them a try. By god they were like pillows for my feet, they felt glorious. Not only that but they had some truly super cute styles that didn’t make me feel like an old lady. So I am going to suggest a few styles that I personally have and like. 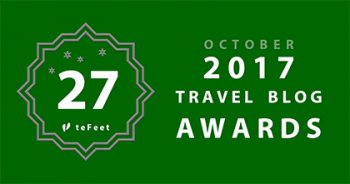 For Ireland, I would recommend not packing extra shoes simply pick one good pair that you can use for lots of walking and they still look good with a pair of trousers for dressing up at night. if you are like me, tend to find the mud wherever it is these will clean up really well, and not show a sign of the fact that you marched through a farmer’s field. They are also pretty much a non-slip so I have trekked through rain, mud, fields up hills and cobblestone roads without a hitch or rather for me without falling of my shoes. For a boot which I would wear on the plane and use I would pick the Super Chelsea Boot. It looks fab with jeans and pants and is so comfortable. Mine have lasted for years now and right now if you buy them they are half price you can’t beat that. My other favourite which I can dress up or dress down is the long winded FitFlop Women’s SUPERBENDY Ballerinas Ballet Flat, This looks great with jeans but also makes a more evening look not only dressy but bloody comfortable. 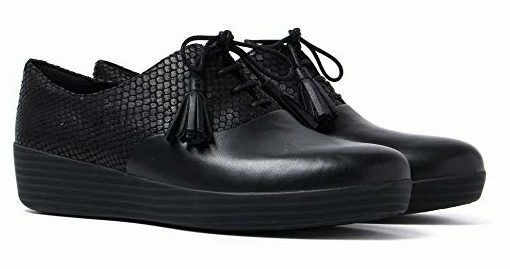 For a classic tasseled loafer style that goes with virtually anything I choose the Classic Tassel Patent Oxford which I can wear with skirts, and trousers and they have lasted me for 2 years and they are still going strong. I’m a person who tends to dress with layers it works so much better here in Ireland. You can always take of a layer and it makes it so much easier to trek around in. I don’t like heavy winter coats I just don’t see the point if you are in and out of cars. Having said that the same goes for getting on and off smelly hot buses and trains. 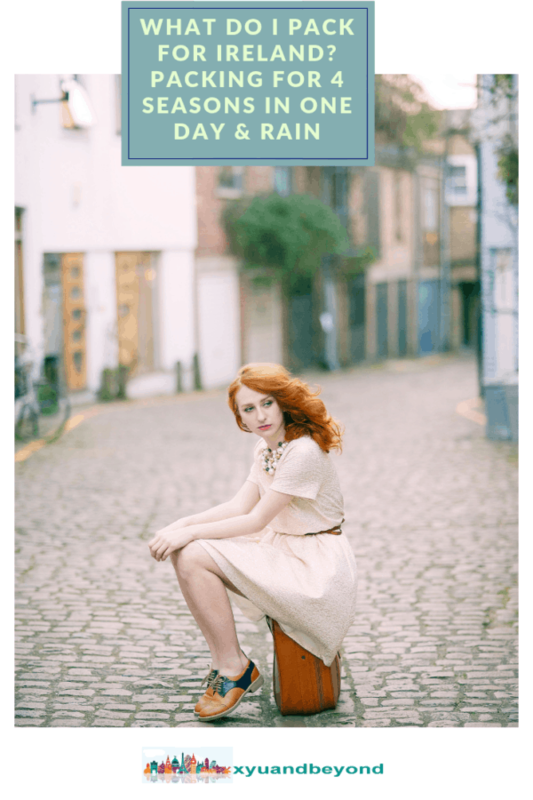 Most of the types of weather you have to watch out for here in Ireland is wet, wetter, and damp. But I am also a believer in making a coat do double duty so I won’t buy a parka style or one of those coats that just won’t work over a nice outfit if I’m going out. I love this multipurpose Craghoppers 3 in 1 jacket. It’s windproof, waterproof and breathable and has a draw cord at the waist which helps me look like I have one. It’s easy to use (the inner coat zips out easily) and although not light, it isn’t bulky which for those of us carrying their own bulk is perfect. The fabric is called Texapore Cotton Touch, which has a high proportion of organic cotton. The attention to detail is really impressive with a load of pockets. It is stylish and yet practical and the cost is good, as the coat will last for years. It also comes in a nice navy colour so much better than boring black my wardrobe staple. 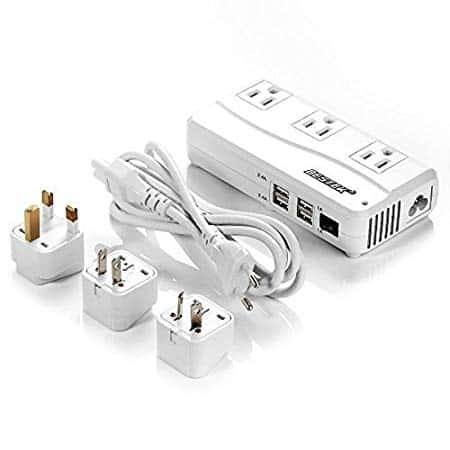 Now you are going to need a 110v to 220v voltage converter so you can plug in hair dryers, phones, laptops or tablets and so on. My personal favourite and one that has lasted me 4 years is the Bestek Universal Travel Adapter. It has 4 ports for charging tablets and phones and a UK/AU/US/EU world-wide plug adapter, so bloody useful. It’s more expensive than most but well worth the price. Now for those of you who care about their hair and absolutely have to have your dryer and straightner with you I am going to recommend the Nano Titanium Dual Voltage Travel Dryer it has dual voltage so you can use it worldwide and it’s very compact. Now for a straightner, not something I would normally recommend but I know some ladies are obsessed with straightening. This recommendation comes from my niece who is one of those. Personally, I don’t see the point the Irish wind will take care of any straight hair you have on your head and turn it into a twisted mass. As for me well I just don’t bother I had a hairdresser who straightened my hair once, I couldn’t see a damn thing so wasn’t really paying attention. I didn’t have my glasses on so was very surprised at the end result. I have to admit I thought it was fabulous but knew as soon as I walked outside and spent 3 seconds in the “Irish mist” I would be back to a sticky outy flippy mess and I was. So my niece say you need this one a BabylissPro Nano Titanium Styler she swears by it and says it can defeat the strongest kink or curl. I’m not going to recommend cameras or other type of photographic equipment such as a drone because – well because I am a crap photographer who uses a good cell phone for most of my photos. Now I want a drone but I have to admit I haven’t bought one yet. 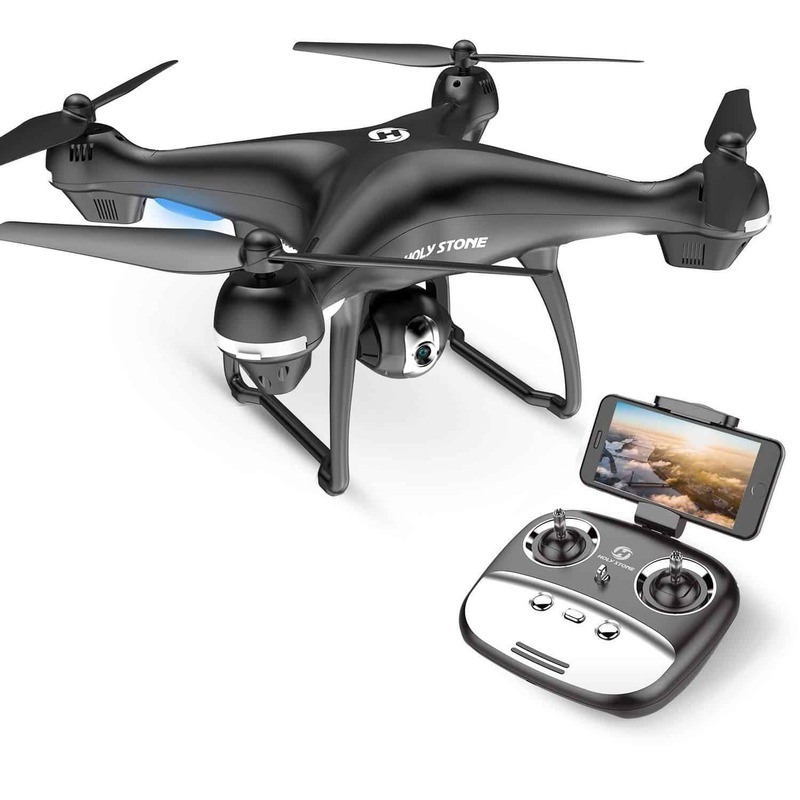 So I was reading all kinds of reviews and know which one I want this a Holystone 1080P Drone.…sigh if only. I do have a camera, which I really like, but it’s a simple Canon Elph that takes great pictures and also has video capabilities, it takes 20 megapixel photos and has that whole touch another device exchange thing. 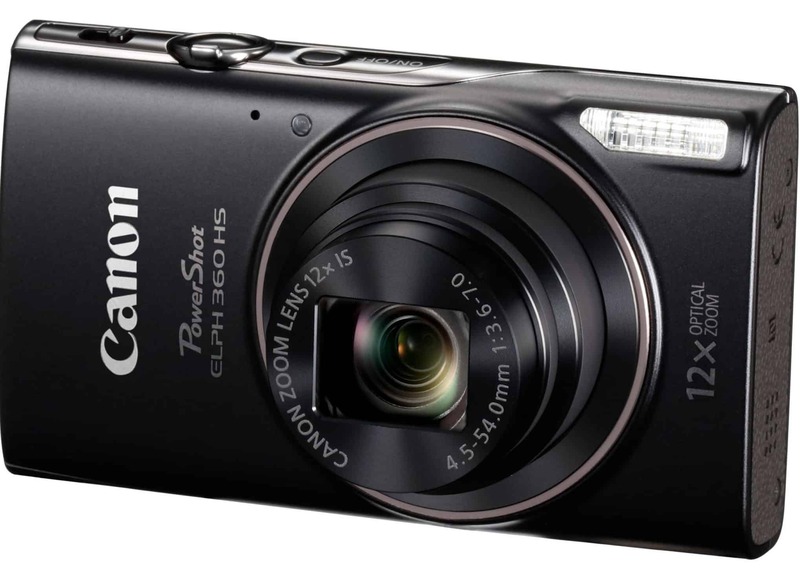 I love it, takes great photos, is nice and small, fits into my purse, and does everything I need it to do. We all know the rules for liquids and stuff in suitcases, but I say to hell with it bring your favourite face cream and you can pick up what you need in Ireland so cheaply you won’t worry about it. Or get some of those solid shampoo and shower bars. Some folks recommend a first aid kit but again why bother I mean really a pack of Ibuprofen here costs around €1 for 12 so why take up the room. They don’t have drugstores like those that you do in N. America so you won’t find a Shoppers or a Rite Aid. In some major cities, you may find a Boots but it does tend to be a UK brand. Most pharmacies here are called Chemists and you will find everything you need. Don’t expect to be able to pick up aspirin and the selection of non-prescription remedies in a grocery store they tend to carry just a few items. You can see Ireland by rail and bus but it can be a total chore if you are outside a major city. Not to mention the bus schedules and train schedules are pretty limited and it can add so many hours to a journey it’s just not worth it. I will always recommend renting a car here, yes, it can be more expensive than you thought as there are no rent a wreck places and insurance can be pricey. However, the sheer bliss of being able to go where you want to go when you want to go is brilliant. Google maps by the way can be loaded onto your phone and used off-line. I would strongly advise getting your phone unlocked before you leave if it is not already. Load your phone with What’s App and you can call anytime to anywhere free of charge. When you arrive, pick up a SIM card at the airport 3IE is brilliant, €20 all you can eat data and its good for a month and the coverage is excellent. So save yourself that stupid $10 a day from your N. American phone service that is simply outrageous. Just remember to keep your SIM card in a safe place so when you return home you can pop it back into the phone. Now for traveling securely I love a smallish backpack purse that I can cram everything into. I also appreciate a cross body bag as it makes me feel much more secure when I need to be hands free. Here in Ireland I don’t worry about the need for rfid stuff just because the country is so safe, I’m sure there are those out there that would love to steal my useless tiny bank account but hey, it hasn’t happened in 5 years of traveling. So the purse I love is this one a Sugar Skull studded vegan leather backpack purse and it even comes with a wallet. I love it because of spending time in Mexico and of course being an old “punk”. This back pack purse is a tad more “elegant” and it fits a load of stuff, very useful for traveling. It also looks good night and day, which is a bonus so now you only need one bag. For a cross body bag that doubles up as a good looking purse to go with a more dressed up look I really like this one and it’s vegan leather. This comes in some great fashiony colours – even pink. You cannot pack properly without packing cubes the reduce the size of your stuff substantially and come in so damned handy for organizing. These Tripped Travel Gear are the ones I like. Lightweight, rip stop nylon virtually indestructible. 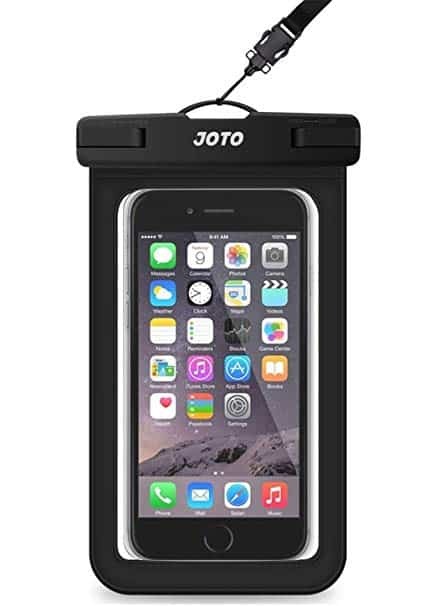 I would recommend a Universal Waterproof Phone Case this is great you can still use your phone’s touch screen and camera and yet it keeps your phone nice and clean – safe from rain and that Irish mist. If you drop it, you won’t get it dirty and wet and you will be good to go. 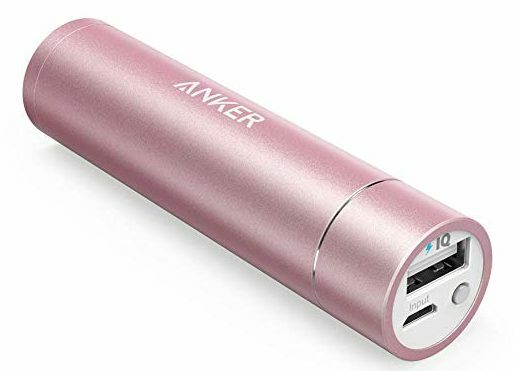 This little beauty is a Lipstick-Sized Portable Charger , which is an absolute, must have when traveling. I keep mine charged and then bring it with me just in case. There is nothing worse than running out of juice when your snapping some of the best views every. You will never be out of power with this charger. Here in Ireland a Windproof Umbrella will safe your hair and clothes and is a requirement. I really like this small portable travel umbrella. Its windproof, waterproof, and folds down super small and will fit into any purse or suitcase. I hate attempting to find room for the toiletries I do pack so this is just perfect. TSA approved it’s got tons of pockets that zip up super compact and yet fits everything. I never would have dreamed on bringing a flashlight with me to Ireland, but when it’s dark here man it’s freaking dark. So one night we wanted to go and see the Northern Lights up in Donegal but we didn’t have a torch. Shopping for one her in Ireland became a journey to 5 stores and each one more expensive than the last. 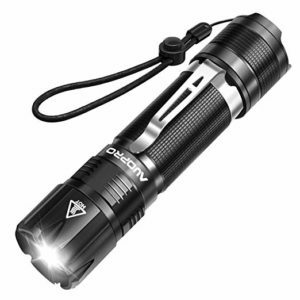 This torch is perfect it has 5 modes, is rechargeable, super lightweight and waterproof you couldn’t ask for more. Last but not least in my mind is books. 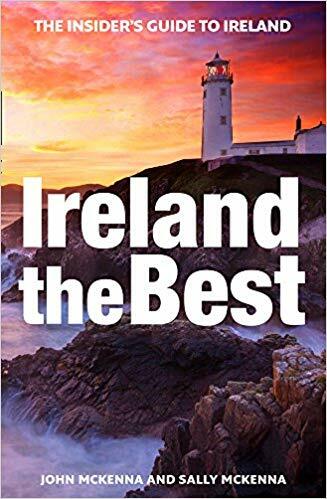 I have a full reading list that I settle back and enjoy before my trip and these are the books I would highly recommend on Ireland. 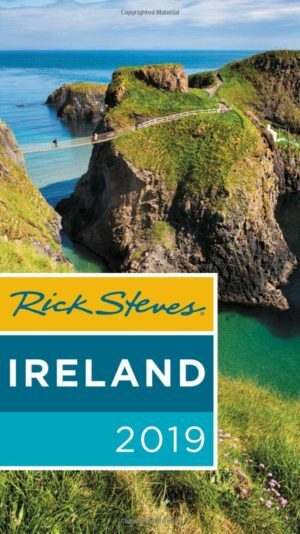 You can never go wrong with a Rick Steves Book and his Rick Steve’s Ireland 2019 is about as updated as it can get. 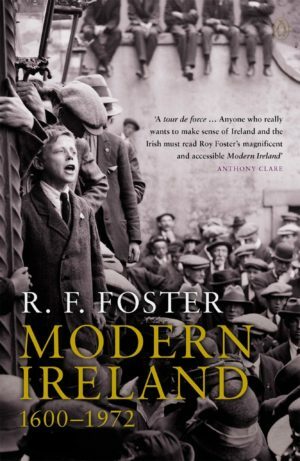 This is the best book on Irish history you can buy R. F. Foster’s Modern Ireland from 1600 to 1972 recommended by Historians throughout Ireland this is stuff you should know if you are an Ireland lover. 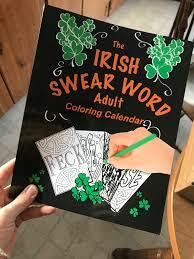 This one I just couldn’t resist the Irish Swearwords Colouring Calendar for Adults we could also use a bit of craic in our lives. Wonderful, practical information! We’ll be visiting Ireland in mid-August 2019. Hoping to find similar information for Scotland, England, and Wales! I started traveling by the age of twelve with Papa, he taught me the hard way. 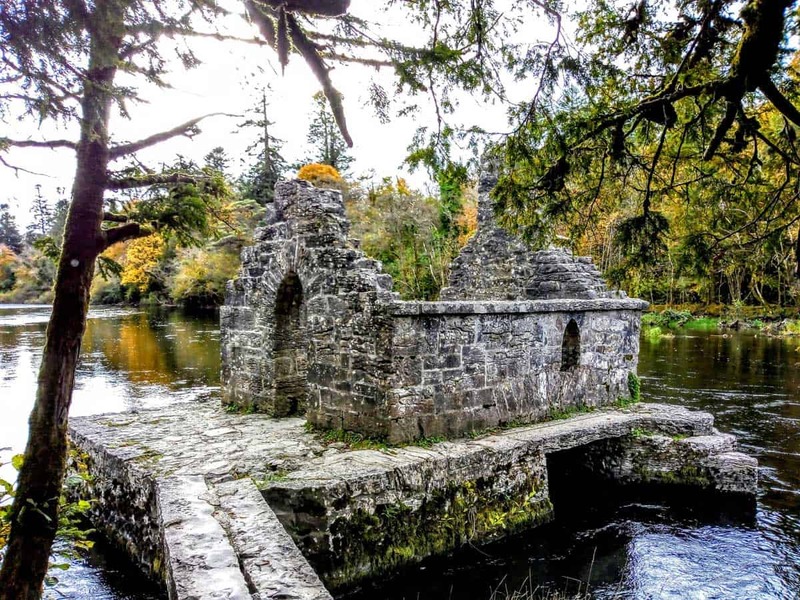 Regarding Ireland I never been there (not yet) but have so many friends inviting me over and will definitely add the destination to my bucket list. P.S the part about the flashlight made me laugh so hard. Good one. Glad to hear we are now on your bucket list, you will never regret it and the country will stick in your heart forever. Sure, met several friends from Ireland last year in Amsterdam, they said the same thing :p Thank you Faith. Excellent article, I don’t think you missed anything! I would love some of those Super Chelsea Boots! 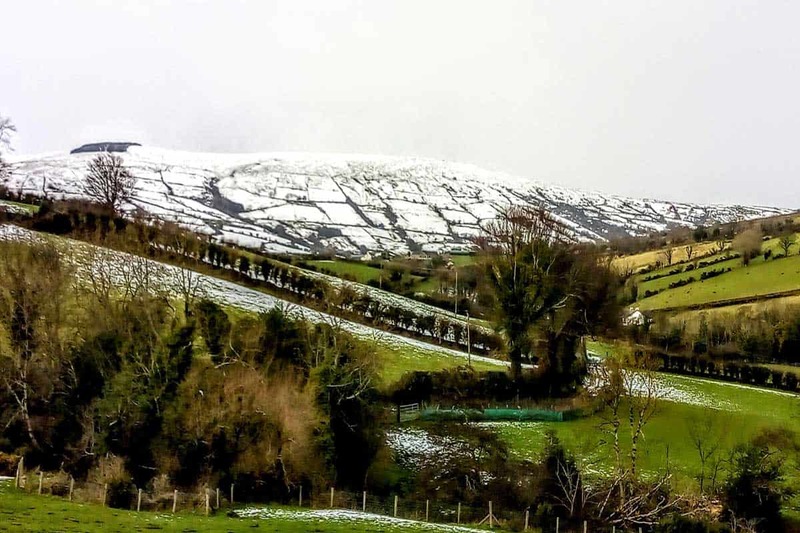 Ireland certainly does have four seasons plus more in one day. Thank-You for all your info I found it to be very helpful,I will be making my first trip to Ireland the 21 of March till Apr. 2.